The price of a gadget has no direct influence on its usefulness or entertainment value. If you have someone who you would like to make happy, there’s no need to spend hundreds of dollars on an expensive gift that might not even make the person nearly as happy as any of the cool cheap gadgets featured on this list. The Amazon Echo Dot is the smallest and cheapest Alexa device from Amazon. Despite not being much larger than the hockey puck, the Echo Dot, now in second generation, is capable of voice interaction, music playback, streaming podcasts, playing audiobooks, providing weather, news, and traffic information, and all the other Alexa functionality that you can enjoy with other Echo devices, such as the new Echo Plus or Echo Spot. Built into the Echo Dot are seven far-field microphones, loud speaker, status LED, and four buttons for manual control. Connectivity with other electronic devices is provided by Bluetooth, Wi-Fi, and a 3.5 mm port. You can easily connect the Echo Dot to wireless speakers and Alexa-compatible smart gadgets and control them with just your voice. You can learn more about which smart gadgets work with the Echo Dot on this page. This affordable starter kit from Sengled includes two smart bulbs and a control hub, providing a great way how to get started with home automation even when on a tight budget. The Sengled Element Classic kit is Alexa-enabled and compatible with all Echo devices, including the Echo Dot. But even if you don’t own an Echo device, you can conveniently control your Sengled smart bulbs using the Sengled Element Home app, which is available for iOS and Android devices. 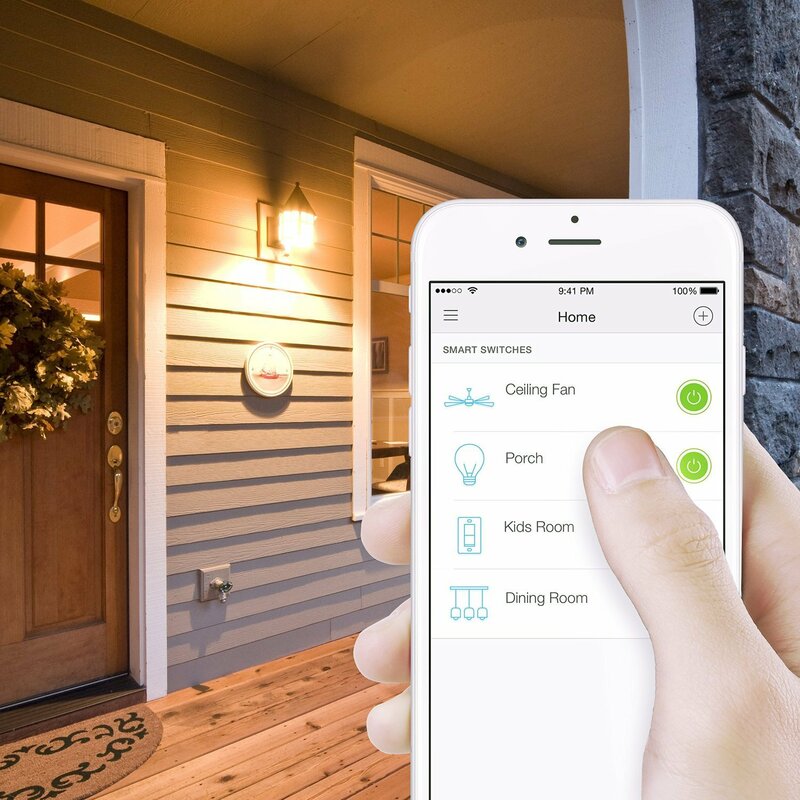 The app allows you to control the brightness of your smart bulbs, change their color temperature to set the right mood, or set up custom triggers so that you never wake up in the dark or leave your home with the lights on. The app also displays various performance statistics, such as how much money you have saved since you switched to smart bulbs. Besides being convenient, Sengled Element Classic bulbs are also reliable and rated for 25,000 hours of use, which is over two years of non-stop use or over 22 years when used for three hours every day. Get it here. Making perfect hard- or soft-boiled eggs every time takes a lot of skill and experience. The Dash Rapid Egg Cooker removes all the guesswork from cooking eggs, making it super-simple to make up to six delicious eggs at a time, regardless of whether you prefer them cooked through or runny. The Dash Rapid cooks eggs with steam, and it’s controlled using only a single button. Using the included measuring cup, which indicates exactly how much water you need to use to achieve the desired consistency, you pour water into the cooker and place your eggs in one of the included trays that allow you to create hard- and soft-boiled eggs, omelets, and even poached eggs. You then press the power button and wait for the cooker to produce an audible alert when your eggs are done. If you have a large family or would like to cook your eggs in bulk, you may also want to consider the Deluxe version of the Dash Rapid cooker, which can boil up to 12 eggs at a time. Get it here. Imagine what it would be like to never lose anything ever again. With the Tile Sport smart tag you can find all your belongings with a press of a button. Tile has a long-lasting battery that can keep it running without any upkeep for over a year, and it can automatically tell you when it’s time for a replacement. Tile is waterproof, so you can take it with you wherever you go, and it has a Bluetooth range of up to 200 feet. When within the range, you can use your smartphone to make your Tile play a loud tune until you find it. If you find yourself outside of the range, you can enlist the help of the entire Tile community, which consists of millions of users spread across the globe. With their help, you can be sure that your belongings will find their way back to you in no time. The Tile Sport smart tag is available in a pack of one, two, or four. Get it here. Fingerlings are miniature baby monkeys and other animals that love to cling to your fingers as they react to sound, motion, and touch. Every little Fingerling has over 40 animations and sound effects to amuse you with, and the presence of WowWee Smart Tech guarantees that your Fingerling will make good use of this wide repertoire of expressions. Ger it here.